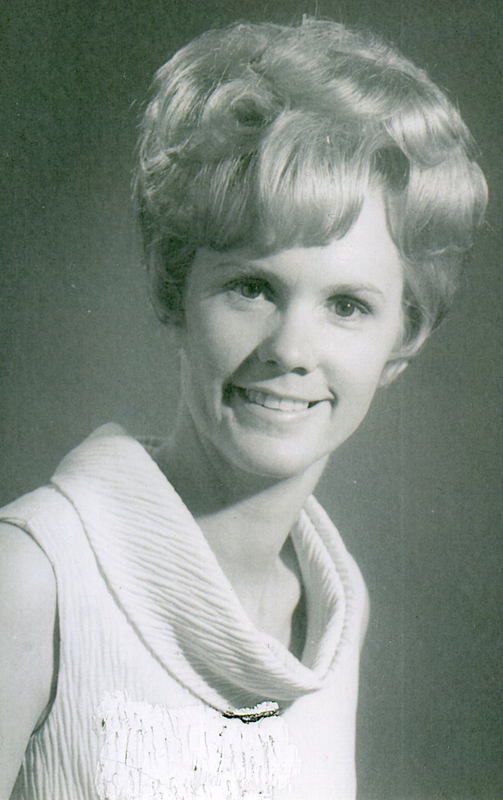 Katherine “Kitty” Pearl Walters Jones, 75, our loving wife, mom, grandma, sister, aunt and friend, passed away on May 23, 2015, in Salt Lake City due to a lingering illness. She was born on Valentine’s Day, February 14, 1940, to Uyless “Walt” Everrett and Marjorie Lois Sneary Walters in San Diego, California. Kitty married Whitney “Whit” Reldon Jones on February 16, 1956 in Henderson, Nevada. Their marriage was solemnized in the St. George LDS Temple. She is survived by her husband, Whit; children: Darlene (Kevin) Leany, St. George; Penny (Randy) Willard, Santa Clara; Ronald “Ron” (Jill) Jones, Hurricane; Joni (Scott) Ballard, West Jordan; Jandi (Curtis) Gubler, Kuna, ID; 20 grandchildren; 22 great grandchildren; sister, Elizabeth “Betsy” (Franklin “Bucky”) Neal, Henderson, NV; brother, Henry “Wes” (LaGaye) Walters, Las Vegas, NV; numerous family members and close friends. Preceded in death by an infant son, Kenneth; one of her beloved sisters, Laura, the wife of Rick O’Connor of Tucson, AZ and mother of five, (February 14, 1941 – March 4, 2015). Kitty and Laura were very close in age and relationship and returned to Heaven within a couple months of each other. Kitty was devoted to her husband Whit and family. They enjoyed taking the family camping, and doing various outdoor activities. She retired from the United States Postal Service after 30 years and treasured her associations there. 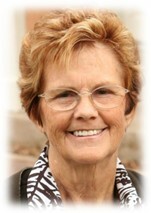 She loved her family, grandchildren, and friends, and had a gift for turning friends into close family. She enjoyed traveling, reading and decorating her home and yard. She lived in various places throughout her life but she loved Santa Clara and always came back home. Funeral services will be held Saturday, May 30, at 11 a.m. at the Santa Clara LDS 1st Ward Chapel, 3040 West Santa Clara Drive, Santa Clara. Visitations will be held Friday, May 29, from 6-8 p.m. at Metcalf Mortuary, 288 West St. George Blvd. and Saturday, from 9-10:30 a.m. prior to services at the chapel. Interment will be in the La Verkin City Cemetery.